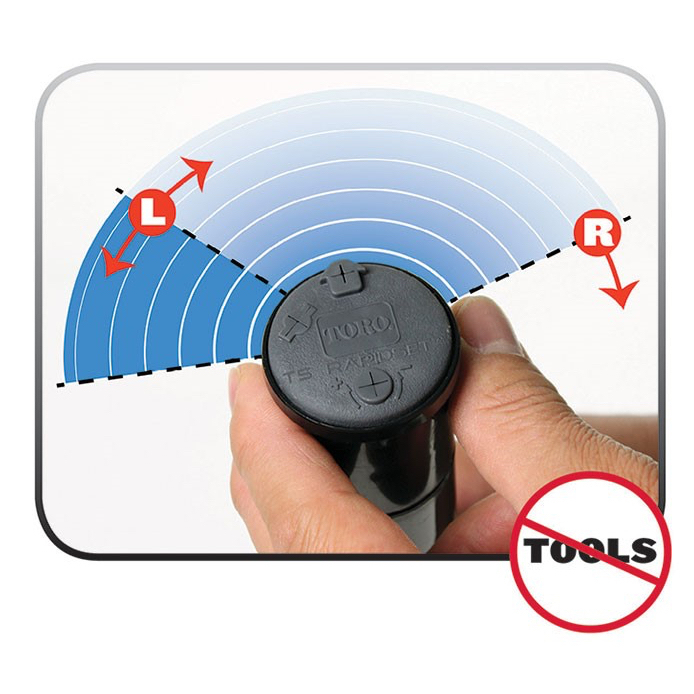 The Toro® T5 RapidSet Rotor, with its revolutionary design, can be set in seconds. RapidSet technology is engineered with a slip clutch for protection when arc adjustments are made - meaning "No Tools Required" (See the video above). Innovative features of the T5 include the five inch pop-up height and the patent-pending Airfoil™ Technology standard and low angle nozzles that deliver unsurpassed distribution uniformity. 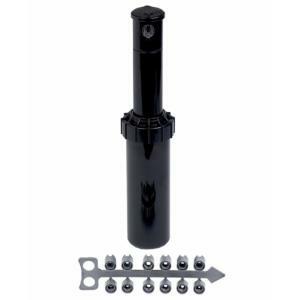 The T5 RapidSet Rotor saves time, money and water. It’s the only 3/4” rotor you need to get the job done. 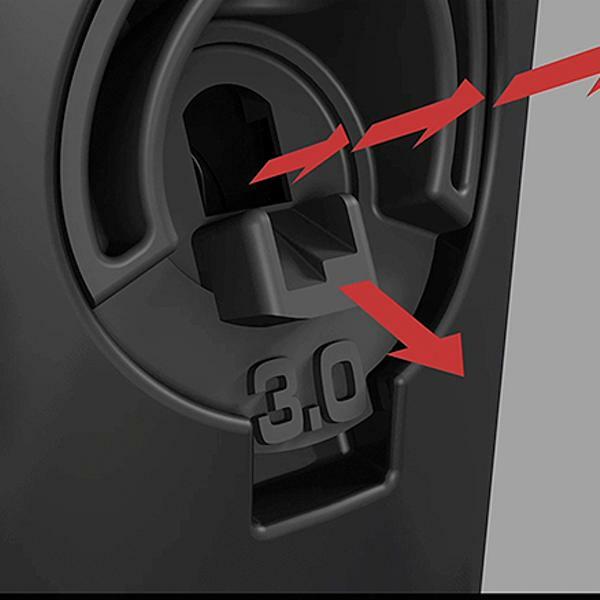 RapidSet® Arc Adjustment: No tools required- with just a few twists of the turret arc adjustments from 40° to 360° can be made quickly and easily. The patent-pending RapidSet slip clutch also protects against gear damage caused by intentional vandalism or inexperienced users. 5” Pop-Up Height: An extra inch of pop-up height allowing the nozzle to clear taller grass while still fitting in the same footprint as many competing 4” rotors for hassle-free retrofits. Airfoil™ Technology Nozzles: The T5 RapidSet rotor includes a full set of 8 standard nozzles (25° trajectory) and 4 low angle (10° trajectory) nozzles with Toro's patent-pending Airfoil Technology. The unique geometry of the nozzles create a zone of low pressure just below the main stream to gently guide water downward for unmatched uniformity without forcefully washing out your lawn or newly-laid seed.